At Heartland Builders, Inc. we believe that the process of building your dream home should be as enjoyable as actually living in it. After all, this is one of the biggest decisions you will ever make-so make the most of it! Whether you're just starting out or finally stepping up, there are few things in life as important as the investments you make in yourself and your family. Whether you prefer the simplicity of one of our expertly designed home plans or you're looking for something more tailored to your individuality, Heartland Builders has the experience and the resources to make your dream a reality. We encourage our clients to be actively involved in their home-building process. From designing your new kitchen and selecting appliances to choosing your flooring and light fixtures, you will have the opportunity to meet with our Contractors directly. But that’s just the beginning. At Heartland Builders you will have countless opportunities to work with our professional staff to personalize your dream home. When you build a home with Roland Builder Inc., your home not only showcases the quality craftsmanship of a job well done, it also reflects a softer side that says, "Welcome Home." Our mission is to make it easier to build the home of your dreams. From how Fine Line homes are built, to the materials used in construction, to the support team at your side. Whether you're looking for a small log cabin to serve as your rustic retreat, a log cabin house with all the amenities of home or a large, elaborate log cabin home to serve as your primary residence, Zook Cabins can build the log cabin of your dreams! Our selection will amaze you! G.A. Griffith, Inc is a Pennsylvania based residential construction company serving the Oxford area as well as South Western Chester County and South Eastern Lancaster County. My name is Glen Griffith. I am the owner and president of G. A. Griffith, Inc. For over 25 years I have been heavily involved in all phases of residential construction. I am a "hands on contractor" who is on site every day while construction takes place until the job is finished. 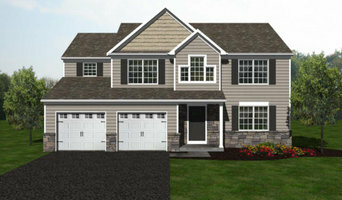 Tri-Valley Contractors is the premier custom home builder in Lebanon County. We specialize in new homes, large-scale additions, and remodeling. Hello. My name is Tyler Ness and I'm a 4th generation builder here in York County Pennsylvania. I have 24+ years experience as a builder and will soon be celebrating my 15th year in business under my own name. Let my team of professionals assist you in finding the perfect solution for your needs by: Guiding you through every step in the process. Working within your predefined budget. Helping you make the right selection in materials. Helping find the perfect location for a new home. Adding custom touches that personalize your residence. I invite you to take a tour of one of our custom homes or contact us today to get your ideas of a new home or remodeling project underway. Many of our visitors tell us "your home just feels good", and "your home has a good feeling to it". We agree. A quality built home has a certain feeling to it, many details work together to achieve that subtle yet distinguishable feeling of being in a well built home. At Tamanini Homes, our custom homes are framed with 2 x 6 exterior walls, then sheathed in Oriented Strand Board (all over, not just at the corners where it is required). Just two of the many details that work together as part of that good feeling in a Tamanini Home. Hello Friends! I love DIY Projects! I'm a professional HVAC installer and Technician, and in addition minored in Plumbing in college. My friends and family consider me as Pro when it comes down to construction and remodeling. Take a LOOK for yourself! and Follow my journey ! WSL Incorporated (WSL, Inc.), a design/build company, has been building and remodeling homes in central Pennsylvania for more than 30 years. As a full service residential builder and developer, WSL Inc.'s lines of service include custom homes, home remodeling, drafting and design services and handyman services. In addition, WSL Inc. is also a Certified Aging-Place Specialist (CAPS) that provides home modification services to accommodate a wide range of clients and conditions, from those coping with a catastrophic injury to mid-lifers that want to age in place. Welcome to Todd Fisher Construction, formerly a representative for Kuhns Bros. Log Homes for 29 years, and now a proud representative for Timberhaven Log Homes, LLC. We selected Timberhaven Log Homes because of their family values, experience in the lumber mill industry, and the kiln dried process. Timberhaven Log Homes provides quality materials in one of the most complete package on the market. We have been in the log home business since 1984 when we built our log home. Since then, we have helped over 200 families like yours design and build their dream log homes. Our goal is to build a quality home for a competitive price and exceed the customers’ expectations. The roots of Todd Fisher Construction began when Todd went to work for Fisher Bros. Construction building our own log home. Fisher Bros. Construction was owned and operated by Lester & Clyde Fisher (Todd’s father & uncle). Their years of construction experience contributed to the success of Todd Fisher Construction. We are a full service log home representative. Our family looks forward to making your log home dream a reality. Your ideas, coupled with our expertise and experience, will make your dream home a reality. We will custom design your home to meet all of your expectations. Whole house additions, kitchen, and bathroom additions are just a few of the changes we can make to your home to suit your needs and lifestyle. Accentuate the best characteristics of your home while removing the flaws with our services. We have over 35 years experience helping our clients update their homes. 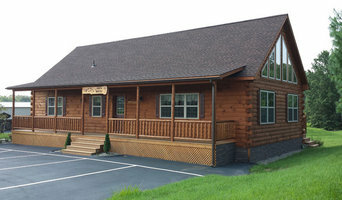 When people are searching for professional log home builders for custom log homes, they turn to Gingrich Builders, top-notch log cabin builders in PA. For over 30 years, Gingrich Builders has been building quality log cabins and intriguing log homes in Central Pennsylvania and has earned a reputation throughout the log home industry for supierior workmanship and innovative designs. If you are planning on building a log cabin for your primary residence or for a weekend retreat, Gingrich wants to help and has complete turn key solutions for you. Bring your own floor plan and ideas or browse through our model log homes for possibilities. Our interior and exterior photo galleries may also trigger some ideas for you. We can build your log home to your exact specifications and be involved in the process from start to finish. We can also work with you if there are phases of the project that you may want to participate in such as staining or painting to help reduce costs. We also offer log home kits, so ask us about our materials for sale. Our craftsmanship is not only for new construction. 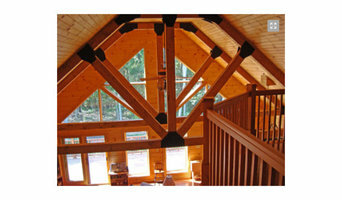 If you are in need of log home remodeling or additions, we are well qualified and would be happy to quote your project. Summit Homes is an ethical and financially secure builder that has more than 20 years of experience building over 1,000 homes in Maryland and Pennsylvania. Summit Homes has a huge selection of floor plans that can be customized for your home purchase. We can build a home at a great price due to our ability to buy building materials and home fixtures at huge discounts because of our buying power. You won't need an architect or contractor because we will handle everything for you including building plans, permits and contractor coordination all the way through turning over the keys to you. We stand behind our work and warrant all our construction with a 10 year structural warranty. Contact Summit Homes today and let's get started building on your own land! Drogalis Construction is an EPA certified remodeling company with wide array of services in the field of constructions and reconstructions.